With all the running around I do as a mom, dance, sports, after school activities etc, dinner sometimes is on the fly. I dislike dinner on the fly. I am a firm believer that my family needs to sit down together as a family and enjoy a home cooked meal. It is very important to me. With that being said let me introduce you to my friend Barilla Pronto Pasta. With the help of my local Stop and Shop where I shop regularly, I was able to get my Barilla Pronto Pasta fix! 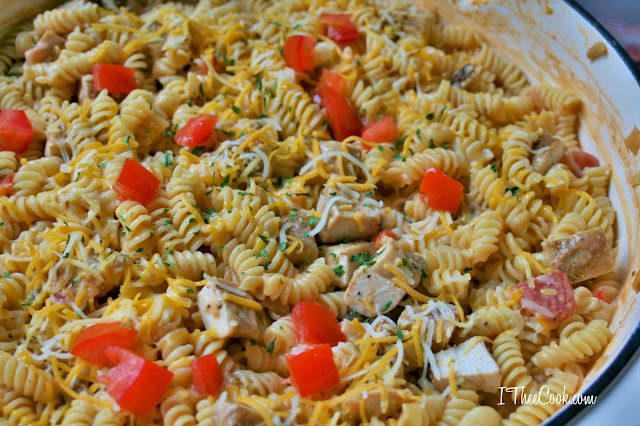 Now this pasta is just amazing! All one pot, no long boil, no draining that's my kind of easy right there. The fact that I can have dinner done in 20 minutes and only dirty one pan saves me so much time. It allows me to read that book or sit and work on homework with the kiddos. 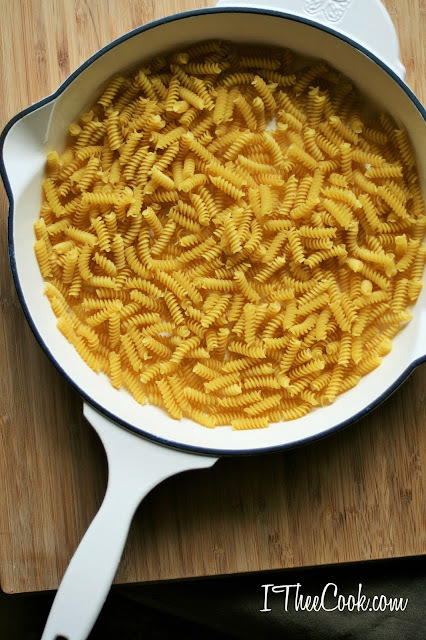 Available in five delicious shapes (Spaghetti, Penne, Elbows, Linguine and Rotini), Barilla Pronto will help make your pasta mealtime prep faster and easier – all in one pan! Pure Genius! 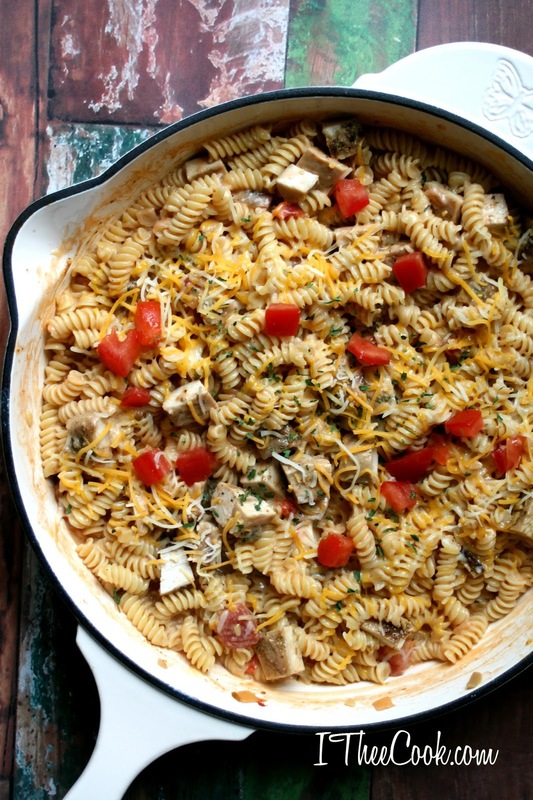 Pour the whole box of pasta into a large 12 inch skillet. Pour 3 cups of cold water into the pan ensuring that the water covers the pasta. Turn your burner on high heat and set your timer to 10 minutes. Cook on high, stirring regularly, until most of the water is absorbed, about 10 minutes. With about 1 minute left add salsa and cream cheese, half the cheddar jack cheese and 1 tablespoon milk. Add the cooked chopped chicken, season with salt and pepper, stir to combine. Add the remaining cheddar jack cheese over the top and serve warm. My family is going to love this! Thanks for the recipe. Pinning. I like this recipe, a lot. I'm single and this would be great to fix and eat again and again. Thanks! I love this recipe, a lot. I'm single and this will be great to fix and eat again and again. Thanks! 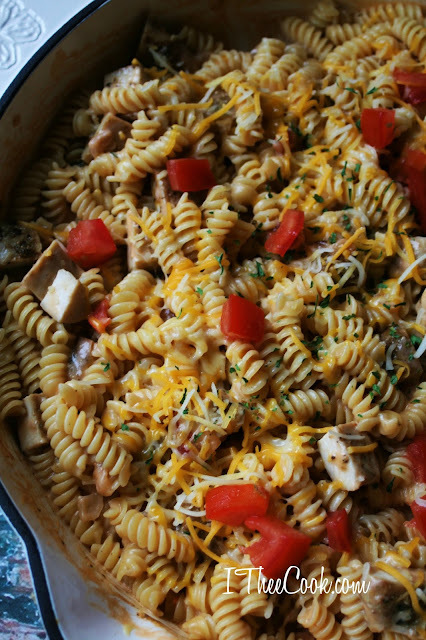 There's nothing better than a one pot meal. This one looks delicious! We will just love this pasta dish. Thanks so much for sharing with Full Plate Thursday and have a great day! Love this. As a busy woman subbing and keeping grandsons some days it's hard to cook a good meal. This and salad. YUM! This looks really good - pinning - thank you! Visiting from Katherine's Corner.